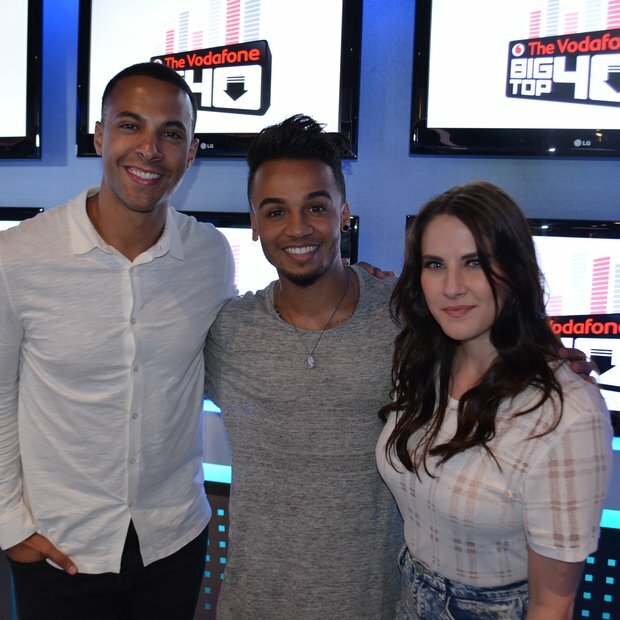 Marvin Humes was re-united with his JLS bandmate and good friend Aston Merrygold in the Vodafone Big Top 40 studio. Oh yes! The day has finally arrived chart-fans. For all of your JLS fans, it's about to be your lucky day. Promoting his brand new funky tune 'Get Stupid', Aston dropped by to have a quick chat with Marvin & Kat and the result was everything we hoped it would be. Not only do we get to hear all about Aston as a solo artist, we get to hear all about those JLS stories from back in the day. Trust us, you're going to want to hear these. Speaking about what he's been up to since those days, Aston declared he's been 'locked in a studio, writing songs and trying to become a solo artist'. Well...we definitely think he's achieved that!